Spotted in the streets of Omotesando. At first glance it looked like a very well preserved vintage VW bus. Turned out to be more of an homage to this classic car. 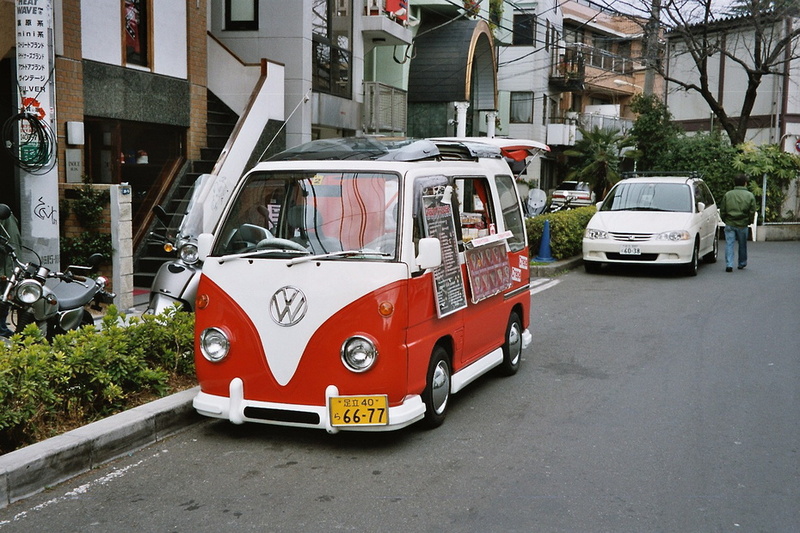 Best ice cream van I ever saw. There is a poll embedded in this article.